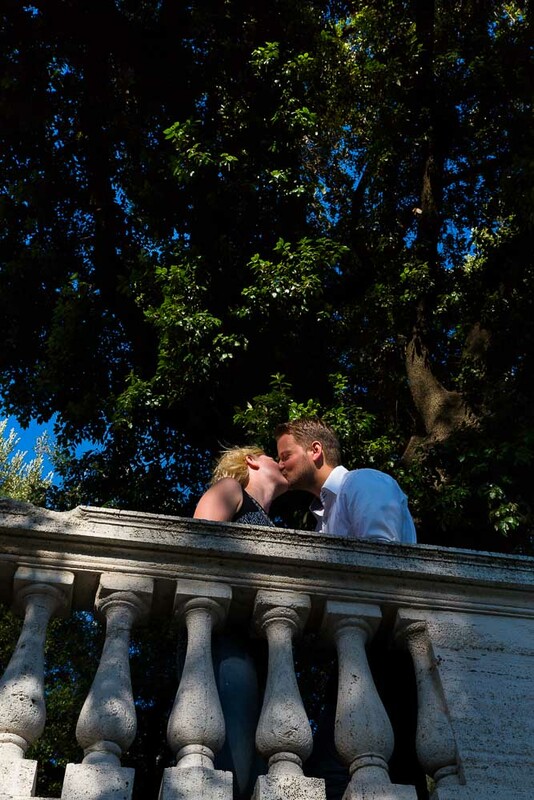 Much joy at Parco del Pincio after this beautiful wedding proposal discreetly photographed from a distance. So happy for this wonderful couple which literary radiated with happiness. Immersed in the beautiful summer view of the city of Rome. 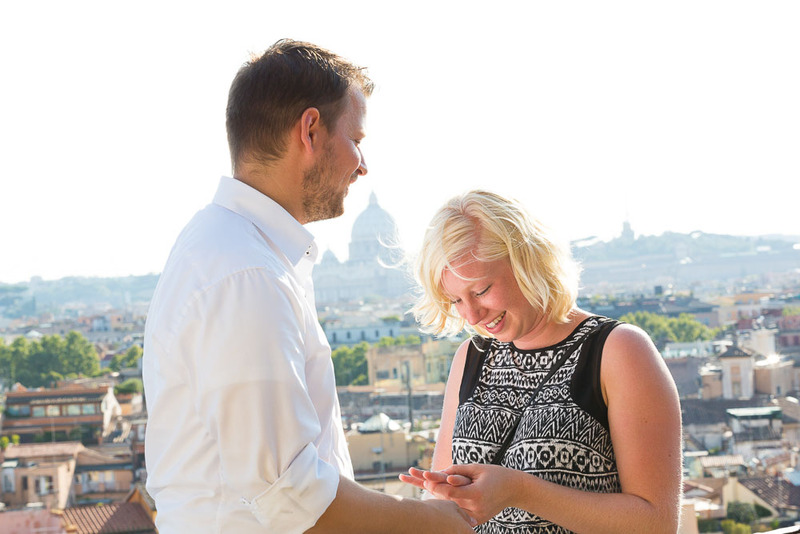 After recuperating from the surprising shock we made acquaintance and continued with an engagement session. We set up some romantic pictures not so distant from the proposal. On the terraces looking over Piazza del Popolo. 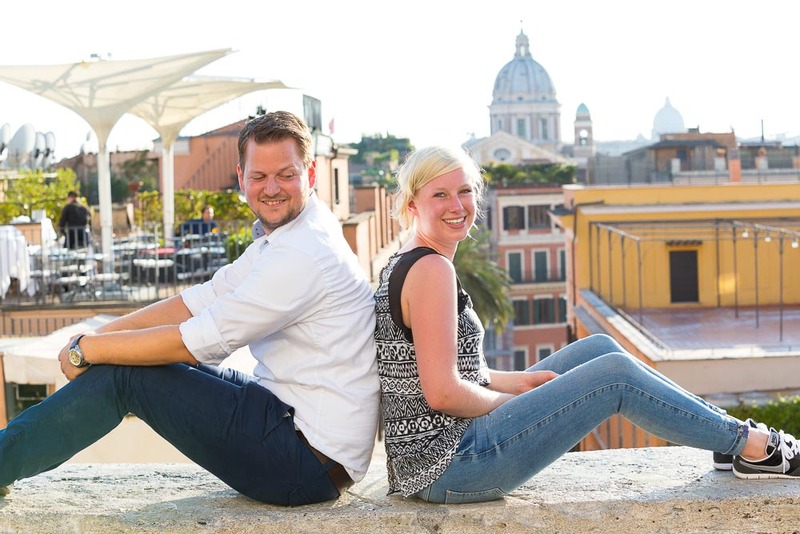 Then we made our way towards Piazza di Spagna taking the opportunity to photograph here and there and composing a good set of engagement pictures. The sunlight was just fantastic. Radiating sideways and giving the whole photo session a great summery feel. 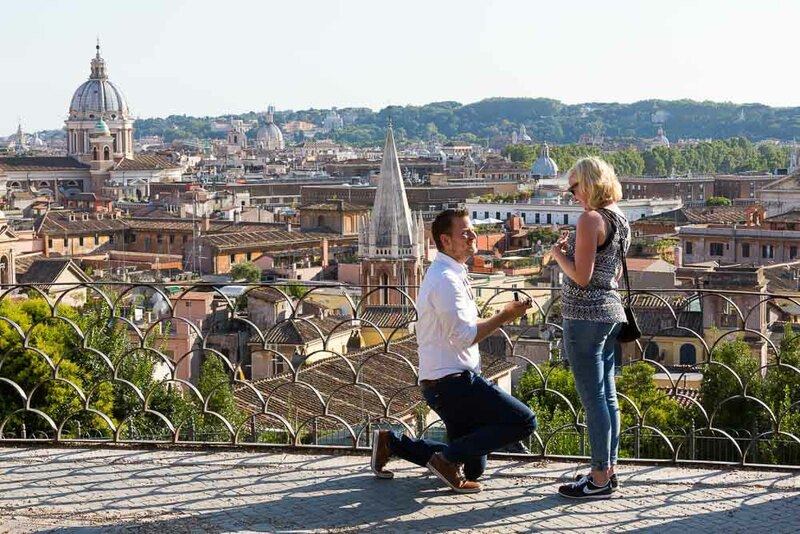 A stunning beautiful proposal photographed at sunset at Parco del Pincio. Joy and happiness overlooking the roman skyline with a great summer feel.